Proud to announce that, 'LOVE LETTERS FROM THE FRONT' (p.s. I love You) - is now on the road and on the move! On Sunday, February 11th - the grand premiere will be held at, The C Note in Hull, MA. Thanks to the wonderful team of James Quinlivan & Lauribeth Quinlivan, of 'Mustard-Seed Promotions' the show has been now expanded to a full 2 hours to encompass not just WWII, but Korea/Vietnam, Desert Storm/Gulf War conflicts. This show was conceived as a tribute in honor of those men & women who fought and died in order to protect our freedoms. Excerpts of letters from home and abroad are read in keeping with singing the music from those eras. Aside from myself, our cast consists of the wonderful Wendee Glick, Lauribeth Quinlivan, Tony Rocks, Ron Caggiano, Bob Anderson and James Quinlivan on narration. More shows have already been booked throughout the year, and you can check out those dates on our Facebook page, or by going to my own site at; www.rdicicco.com and click on 'Events'. Show begins at: 4:00p. Reservations are highly recommended. Please call: 781-925-4300 or use this link to order tickets; http://www.cnotehull.com/buy-advanced-tickets To All Of Our Veterans & Active Duty Personnel: 'We Salute You'! highlighted to reflect the love and loss of that time period. ('I'll Be Seeing You', 'Moonlight Serenade', 'Boogie-Woogie Bugle Boy' and many others are covered within the context of this performance. Bob DiCicco (writer/singer) & Wendee Glick (singer) will be both narrating and performing the music for this show. Free Admission. 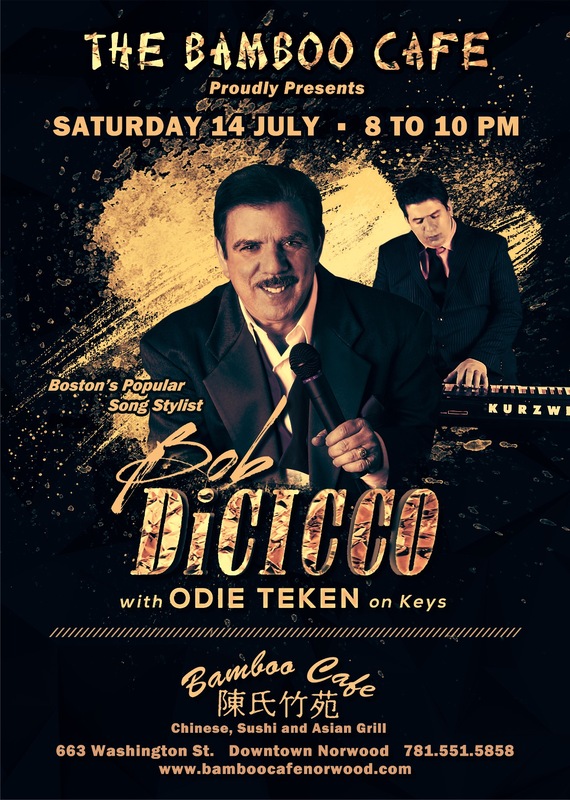 On Saturday, July 14th - please join me and Odie Teken on keys as we take a musical tour with The American Songbook and other jazz standards at, The Bamboo Cafe in Norwood. 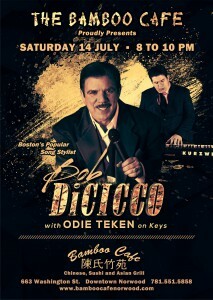 If you're a connoisseur of fine Asian cuisine and wonderful music - then The Bamboo Cafe is the place to be on Saturday night! In conjunction with, 'The Never Too Late Group' at The Boston Public Library - we will be presenting a special live presentation of, 'Love Letters From The Front' in The Rabb Theatre on Thursday, September 27th at, 2:00p. 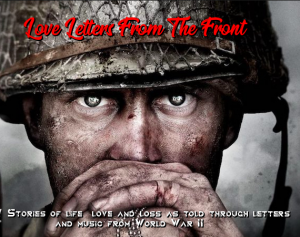 'Love Letters From The Front' is a homage paid to those G.I. 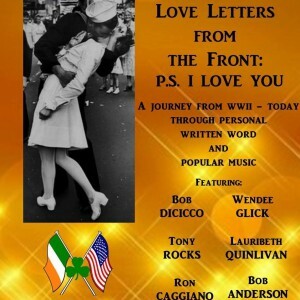 's and their loved ones sharing excerpts of their letters with the music of that era being performed as a backdrop for that time period. (1940-1945 respectively). Please join me, (Bob DiCicco) & Wendee Glick on vocals with Steve Heck, piano/addt'l vocals and, Michael Ball on bass). The Rabb Theatre is located inside the Johnson Entrance on Boylston St. right near the inbound Copley Sq. Station. Free Admission. (Please join us for this wonderful show. "Well Be Seeing You".